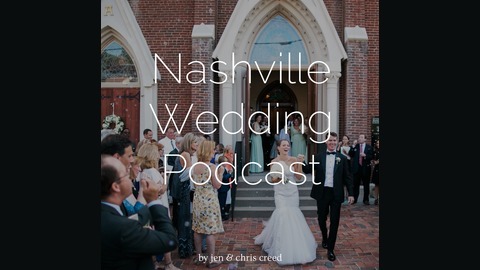 The Nashville Wedding Podcast, hosted by Jen and Chris Creed Photographers, is a show about all things Nashville weddings. The only show that gives you exclusive access to local experts (planners, venues, live bands, florists, caterers, and more!) 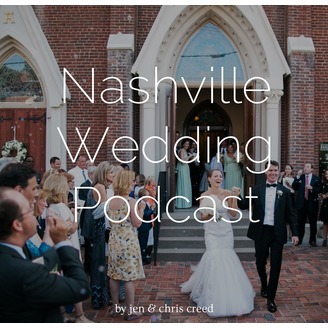 to help you as you plan your Nashville Wedding. So happy to be back with a new episode for you all this week! A few weeks ago I had the opportunity to sit down with my friend and professional DJ, Jason Middleton of Premier, The Entertainment Company. We work with Jason and his team fairly often and they are just top-notch. Our most recent wedding with Jason was Allie and Caleb's wedding at Belle Meadows Farm was epic and Jason kept the crowd going right up until the end! We had a blast just chatting about their process as a company (Which is very high touch and full-service. We know our clients are in good hands when they've hired Premiere.) and so much more! I'm so excited to share it with you all! Let us know what you think! Enjoy the show! P.S. If you're not subscribed yet in itunes, we would love for you to subscribe. It's the best way to get the episodes as soon as the go live! While you're there, download a couple episodes! Maybe even leave a review if you're enjoying the show! All of this helps other people to find the show in iTunes so if you think it would be helpful to others, please share!